Is Natural The Best Treatment Of Arthritis Joint Pains? It turns out, curcumin, the key component in turmeric, may be one of the best ways to address both rheumatoid and osteo arthritis. Why? Well, what is curcumin? It’s the yellow color in your curry, from the spice turmeric, commonly used in south Asian cuisine. It’s long been hailed for it’s medicinal properties, allegedly helping fight stress, cataracts, Alzheimer’s, cancer, and a host of other problems. Curcumin is a powerful antioxidant. Many of the conditions it may treat can be caused by inflammation (cancer, rheumatoid arthritis), so the connection makes sense. But as science explore curcumin as natural treatment of arthritis and other conditions, they’re discovering other properties. Osteo arthritis is the most common form of arthritis: it’s the general wear & tear of joints and the subsequent loss of cartilage. What is curcumin and how does it help? Turns out curcumin can act as an inhibitor, slowing cartilage loss due to certain genes. Combined with Boswellia one study found a higher success rate than many commonly prescribed medications for treatment of osteo arthritis, based on how people reported joint pains. 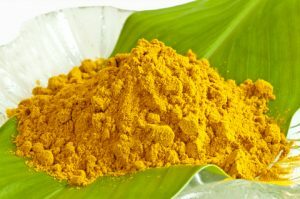 It’s only one study, but there’s thousands of years behind the use of turmeric as well! Taken at a reasonable dosage, there’s no side effects to turmeric. It is, after all, a common food additive, preserving freshness and nutritive value. You can add turmeric to your favorite dish, or lightly heat it up in some olive oil (it’s fat soluble, so your body gets more of it when paired with a little). You can also take it in supplement formâ€”not everyone likes the taste.